“As a member of synod council, you are to be prayerful in your discernment, diligent in your preparation, respectful in your speaking, fair in your deliberations, and faithful in your decision-making,” said Secretary of Synod Bill Mous as Bishop Susan Bell commissioned the executive body of the diocese. The commissioning happened during a eucharistic service as part of an all-day synod council retreat at the School Sisters of Notre Dame (SSND) motherhouse in Waterdown. 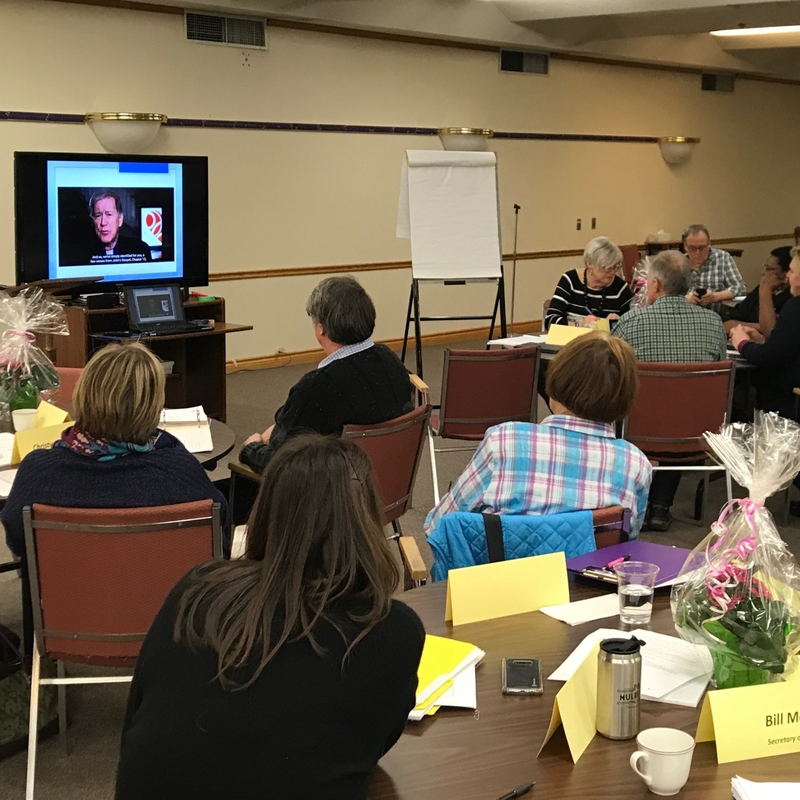 Rooted in worship and fellowship, the retreat sought to orient new and returning members of synod council for the leadership role with which they have been entrusted with on behalf of the synod of the diocese. “I was deeply moved by the passion, dedication, and commitment of all those who presented and participated,” reflected Terry Holub, an ordained representative for Brock region. 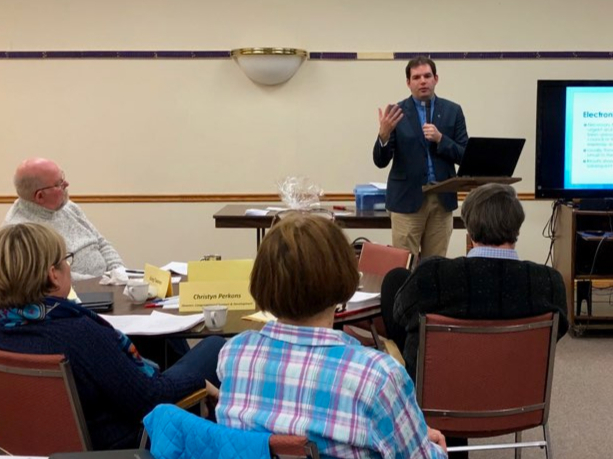 Orientation sessions included presentations on the Anglican Communion, governance, the canons and enabling legislation, diocesan finances and the synod council process. Ian Rice, a lay representative for Greater Wellington region, noted that through the five sessions he “gained a much greater understanding of the duties and responsibilities,” being a member of synod council entails. The retreat also offered an opportunity to engage with the emerging call to renewal and mission that Bishop Bell has articulated in the first few months of her episcopacy. Canon Christyn Perkons facilitated an energetic session that invited reflection on what is resonating from this call. Members said that a deep commitment to Christ and living the gospel, spiritual authenticity, stewardship focused on abundance, liberation from buildings, willingness to risk and fail, and an emphasis on meaning-making and spiritual formation were all concepts to be affirmed. Members were also invited to offer ideas about what might be added to more fully paint the vision that is developing. In small conversation circles, members also participated in the Anglican Church of Canada’s Heartbeat of the Church initiative. This comes as part of the 125th anniversary of the general synod, for which Archbishop Fred Hiltz has invited the church to listen to its heartbeat through a four-step process that includes prayer, scripture reading, reflection and dialogue. 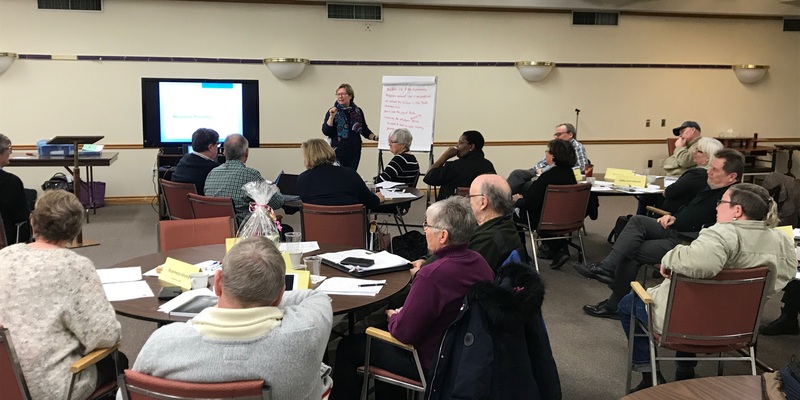 In the afternoon, members of synod council had the opportunity to learn more about the ministries of the diocese through several speed-meeting sessions. Regional caucuses rotated from table to table to quickly meet with the diocesan directors and bishop as well as ask questions related to their daily work. Equipped for their work, synod council members concluded their retreat with a formal meeting. Among the agenda items was the election of Archdeacon David Anderson, Andrew Clinkard, Mike Deed, Cathy Hanson and Janice Whiteley to serve as members of a coordinating team. This group, along with the bishop and secretary of synod, are responsible for planning synod council meetings. “Overall, the day was just a wonderful experience,” said Bennett. The retreat kicked off the beginning of this synod council term. Meetings are generally held on the second or third Tuesday of every month, with the exception of July and August, at Christ’s Church Cathedral in Hamilton. “I look forward to the challenges and rewards that lie ahead as we join together towards our common goal of serving Christ and our communities,” said Holub.